jo this course also got a lecture in stonedisplacements, but also in alpha grass. 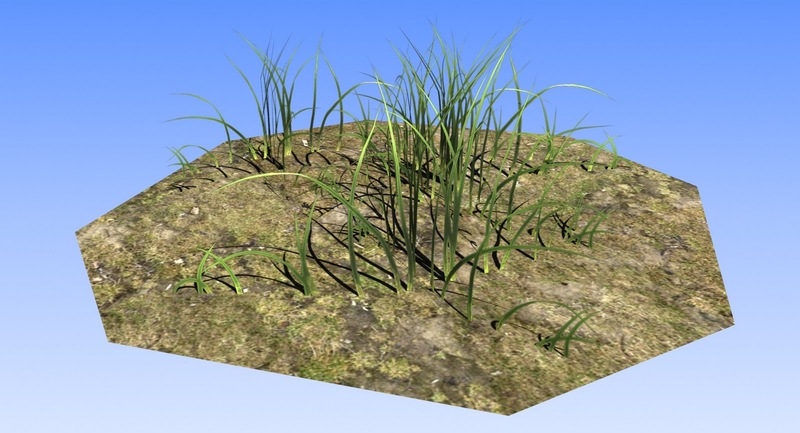 and 3d grass always needs some dark AO painted in the middle of the texture, so that it wont look flat, when placed in groups! These are so awesome, I wish you would someday make tutorials for these! Hi Sascha, can I ask where you got your grass texture? I've looked everywhere for one that has the grass blades spread out like yours. @david. i did make the ingame stone tut yet. i got too much to do atm. but its still on my list! @snow: no i dont have a source for this. we painted it. Thanks for your reply Sascha, I'd love to see a tutorial (even a very quick and dirty one) on grass, I'd like to be able to demonstrate these techniques in my portfolio, however I see you're very busy. Best of luck! 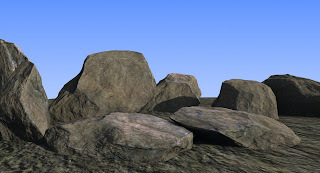 I into 3d field, i do photorealistic texturing, but i have never done texturing for gaming, these days i am learning it. could u tell me how do you texture these grass.